Anton Page does video marketing! Anton Page are delighted to announce the commencement of our video marketing series! The idea behind the videos is to promote the areas we operate in, our knowledge and the buildings we are working on. Over the past few months, we have teamed up with a video production company to help bring our ideas to life – click here to see the first one! 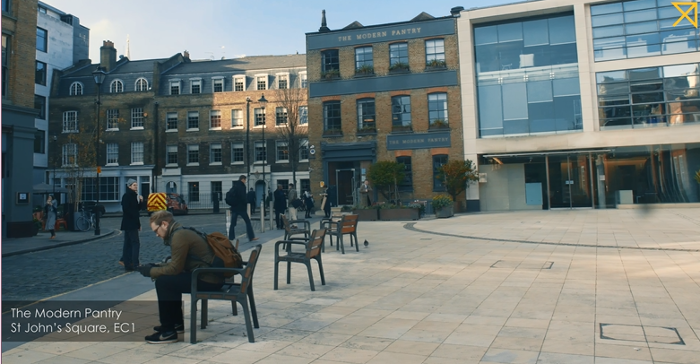 Unveiling the neighbourhood of Clerkenwell, this first video demonstrates the most popular and exciting places of interest in the area. Clerkenwell is highly regarded as a thriving City Fringe location immersed in history and retaining an abundance of both old and newly built developments, home to a wide variety of coffee shops, restaurants, bars, gyms and cafes. Featured venues include J&A Cafe, Workshop Coffee, GymBox and The Modern Pantry.